Home » Blog » blog » Siding Options — What Can you Choose From? Dormer Windows & Your Roof: What You Need to KnowWe Install Skylights Too! If you’re interested in finding the perfect siding for your place, we can help you decide which option is best for your home. At Roofmaster, we have completed over 16,000 siding, soffit, fascia, and window jobs since we started back in 1981, and can provide you with some superior options to enhance the outside of your home. 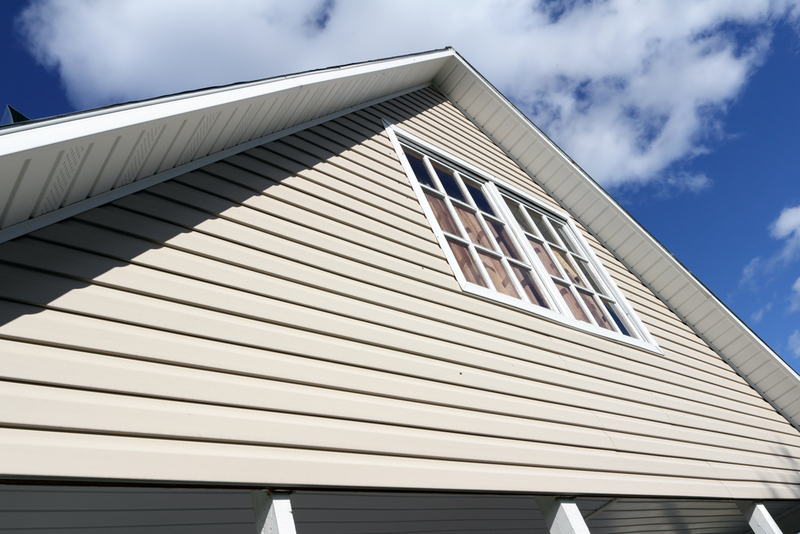 Check out our siding options and what you can choose from when working with our team. Steel siding can create the ultimate protective barrier for your home. Specially designed to stand up against the heaviest of weather conditions, steel panels are weather sealed to resist pounding rain, severe winds, freezing cold temperatures, and intense heat. The coatings are also designed to resist scratches, fading, mildew and fungus. Plus, they are available in many different coatings to enhance the look of your home. Aluminum siding is the perfect mix of strength and elegance. We offer aluminum siding that is performance-engineered to provide superior protection from the outdoor elements and destructive weather. Unlike other materials, it requires minimal maintenance and is easy to clean. At Roofmaster, we offer a variety of different designs so you can choose the colour and look that best suits the style of your home. Vinyl provides a classic look, exceptional durability, and simple upkeep at an incredible price. It’s also highly durable and eco-friendly, with a lower overall environmental impact than other materials on the market. No matter what look you need, vinyl offers an extensive selection of options such as the colour and trim. Our wood siding is made of quality materials and follows the industry standards for performance. We offer widths and styles to match your home’s architectural style, or you can create an entirely new look with our wood siding options and finishes. We offer the leading Hardi-Board and Hardi-Plank fibre cement siding from James Hardie. These products are long-lasting and designed to create a timeless look for your home. The boards are also completely resistant to rot and insects, and can even handle significant storms and fire. You can easily create the home of your dreams with unlimited colour options and the ability to replicate many other siding materials. We also offer our clients Can-Excel prefinished siding products. This is a unique Signature wood-grain texture that provides an authentic, warm, distinguished look for your home. You can choose between UltraPlank™ that can be installed vertically or horizontally to match the appearance of your home or lap siding which can stand up to the sun while maintaining a fresh presence over the years. When you’re ready to renew the exterior of your home, look no further than our quality siding options from Roofmaster. To find out more about our products and pricing, contact us today.